The eagle eyed amongst you might have noticed that I have conquered the technical beast and input a wee widget to the side of this blog. 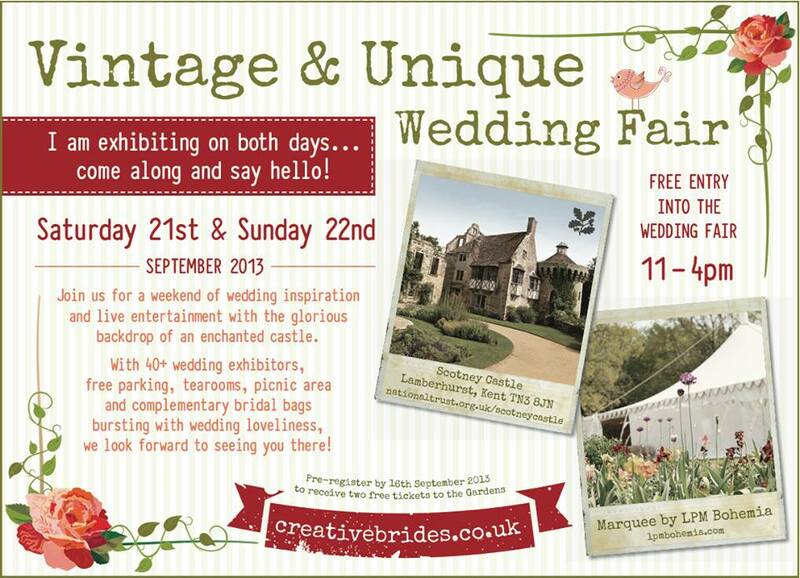 Yes, we’re exhibiting at the Creative Brides Fair over 21 and 22 September at Scotney Castle. We’re excited, having worked with one of the Creative Brides team members before, where she did a fantastic job. It should prove to be a great weekend, hopefully sunny and we’re looking forward to seeing lots of lovely brides there! On top of that, if you pre-register before 10 September 2013 you’ll receive two free tickets to the gardens at the Castle!